A "riveting" and "unforgettable" (Kirkus Reviews) novel of war and friendship. 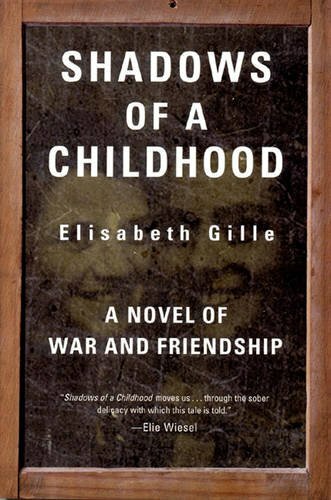 Based on Elisabeth Gille's own experiences during World War II, Shadows of a Childhood is a fictionalized account of one individual's -- and one nation's -- coming to terms with the war. Lea and Benedicte are five and seven when they are hidden together in a convent in Bordeaux in the 1940s. They become inseparable, sharing everything except the secret of their parents' disappearances. After the war, Benedicte's world reverts to normal while Lea, marked by childhood memories she cannot escape, undertakes a devastating search for the truth. One of France's leading literary editors, Elisabeth Gille died in Paris in 1996. Her American authors include Nicholson Baker, J. G. Ballard, Ray Bradbury, Mary Gordon, Alison Lurie, Mona Simpson, and Peter Taylor. This is her third novel and the first to appear in English. Winner of the 1997 French-American Foundation Translation Prize, Linda Coverdale's most recent translation for The New Press is Pig Tales by Marie Darrieussecq. She lives in Brooklyn, New York.